(Dulles, VA 8 February 2013) - Orbital Sciences Corporation (NYSE: ORB), one of the world's leading space technology companies, today announced that the company-built Azerspace/Africasat-1a commercial communications satellite was successfully launched into orbit on February 7, 2013 aboard an Ariane 5 rocket from the Guiana Space Centre in Kourou, French Guiana. Lift-off took place at 4:36 p.m. (EST) and the satellite successfully separated from the rocket's final stage approximately 37 minutes into the mission. "Today is an historic day for the people of Azerbaijan. We're proud to be the first among the South Caucus states to have a telecommunications satellite that will provide important communications services to Azerbaijan, Central Asia, the Middle East, Europe and Africa," said Elin Suleymanov, the Azerbaijani Ambassador to the United States. Orbital designed, built and tested the Azerspace/Africasat-1a satellite for the Azercosmos Open Joint Stock Company of the Ministry of Communications and Information Technologies of the Republic of Azerbaijan. "This satellite illustrates the important commercial relationship between U.S. industry and the Azerbaijani government. We appreciate the cooperation between The Ministry of Communications and Information Technologies of the Republic of Azerbaijan, the U.S. Import-Export Bank, and Orbital Sciences Corporation throughout this nearly three-year process. I would also like to thank the hundreds of Americans who worked to put this satellite in space. We look forward to working together on future projects as Azerbaijan continues to strengthen its communications infrastructure," Ambassador Suleymanov concluded. Commenting on the early status of the mission, Mr. Christopher Richmond, Orbital's Senior Vice President of Communications Satellite Programs, said, "The launch of Azerspace/Africasat-1a was flawless, and so far, the mission is operating smoothly. This is one of ten GEOStar-2 satellites that we are building and delivering to customers around the world over a two-year period, and the 30th such satellite the company has produced for commercial operators in the last 15 years. Global satellite operators continue to recognize us for our excellent track record of superior reliability and outstanding customer service. It is an honor to support Azercosmos with this satellite, which will expand Azerbaijan's communications infrastructure and enhance its connectivity with other parts of the world." Over the next few weeks, Orbital will work with the Azercosmos engineering team to conduct in-orbit testing to verify all subsystems are operating as planned. Once testing is complete and the spacecraft is positioned at its 46 East Longitude orbital location, Orbital will turn over day-to-day operations of Azerspace/Africasat-1a to Azercosmos. Satellite command and control operations will be carried out at control centers in Baku and Nakhchivan, Azerbaijan. These facilities were designed and built by Azercosmos to support the installation of the ground control systems provided by Orbital, including ground antennas, radio-frequency electronics, computer platforms, and the software used to command, monitor and control the satellite. Orbital designed, built and tested the Azerspace/Africasat-1a satellite in Dulles, VA at its satellite manufacturing and test facility. With an anticipated service life of 15 years, Azerspace/Africasat-1a is based on Orbital's flight-proven GEOStar-2 platform. The hybrid C- and Ku-band satellite generates approximately five kilowatts of payload power and carries 36 active transponders, providing communications services to Azerbaijan, Europe, Africa, Middle East and Central Asia. 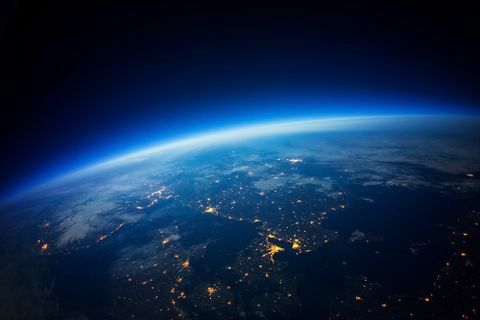 It will operate from 46 East Longitude through an arrangement between Azercosmos and MEASAT Satellite Systems of Malaysia, which owns the rights to the orbital slot. 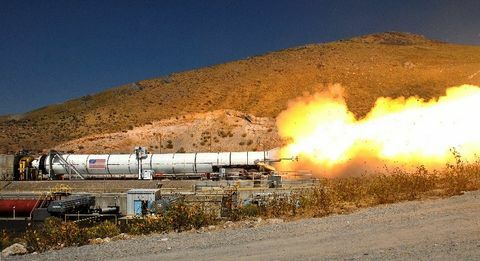 Orbital develops and manufactures small- and medium-class rockets and space systems for commercial, military and civil government customers. The company's primary products are satellites and launch vehicles, including low-Earth orbit, geosynchronous-Earth orbit and planetary spacecraft for communications, remote sensing, scientific and defense missions; human-rated space systems for Earth-orbit, lunar and other missions; ground- and air-launched rockets that deliver satellites into orbit; and missile defense systems that are used as interceptor and target vehicles. 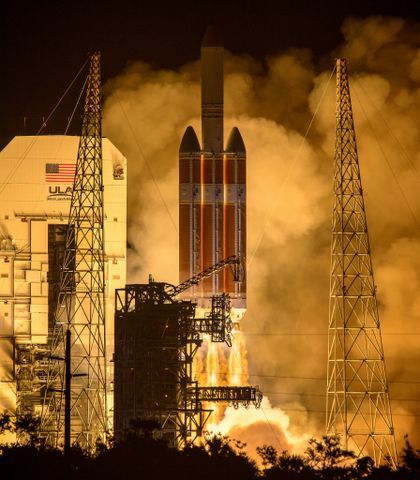 Orbital also provides satellite subsystems and space-related technical services to government agencies and laboratories. More information about Orbital can be found at http://www.orbital.com.